Update on Scribd, the "YouTube for Documents"
I'll hold back on a direct description too, but if you're anything like I am, you'll want to cut-and-paste the following URL into your browser and take a look for yourself, and maybe even wander around at the site a bit after you get there. Lexmark's conference call following their earnings announcement included an interesting exchange regarding the Silverbrook Memjet announcement. The question (actually part two of a question) came from Bill Hand of Bear Stearns and was answered by Lexmark (NYSE LXK) CEO Paul Curlander. Just to follow-up, any thoughts on MemJet? Well, MemJet, there's not a lot I can say about that. I mean the Silverbrook technology has been around for a long time. I think clearly here recently they've said some things that look like they’re a little different from some of the things that we've seen from them historically. I would tell you that we certainly go out and look at everything that's in the market to understand what it is, but we never talk very much about what we think after we take a look at it. I really don't see much impact to Lexmark from MemJet, really kind of for two reasons. One is they have not commercialized the technology and that's a nontrivial thing, but that may just be a timing thing. Who knows when they might get that done. Secondly, I have a hard time believing from what we've seen that this is going to compete in a price range where Lexmark competes today. It just looks like higher end stuff from what it is that we do in the market. So this is why it's not very high on our list of potential impacts to us in the marketplace. Thanks to the Wall Street community for prompting some comments from the industry incumbents, just like they did with HP's Vyomesh Joshi in their most recent webcast. And thanks SeekingAlpha for posting the transcript. An associate at Fisher's Document Systems here in Boise hosted a roundtable discussion yesterday that I was invited to join, and yes, it was the traditional old school roundtable with everyone physically in attendance, sitting around an at-least-somewhat-round conference table. Amazing how effective some of these old techniques can be! Corey Smith, at his blog From The Innovator's Desk, has summarized the discussion. Thanks Corey, and looking forward to future discussions! As noted in yesterday's post on the Kodak EasyShare 5300 by Walt Mossberg of The Wall Street Journal, Dow Jones has launched a brand new site, All Things Digital, that includes Walt's reviews as well as lots of other good material from a stellar list of contributors. Great news for the tech community even if it represents a little extra work for me -- I've got an editing job to do to update all those blog archives that mention Mossberg reviews and that didn't have live links up until now, as the WSJ content has always been subscriber-only. That's AllThingsD.com -- check it out! This morning's Wall Street Journal, in its Personal Technology column, features a review of the Eastman Kodak Company's Easyshare 5300 inkjet all-in-one printer. Walter Mossberg compares the product against an HP (NYSE HPQ) Photosmart C6180 and finds both products have their strengths along with their idiosyncrasies. This review must have triggered a huge collective sigh of relief among Kodak executives and marketing types, as following their splashy introduction in February, a string of reviews (mostly from pickier photo-only sources) have been lukewarm at best on its new printers. Walt brings his more "everyman" approach to product reviews and comes away reasonably impressed. The battle goes on! Note -- 4/26 10am MDT -- I've upgraded this post with a direct link to Walt's review and also a link to the brand new site, All Things D.
Logoworks -- "World's Largest Network of Designers"
This morning's Salt Lake Tribune features a great analysis of the company that Logoworks has grown into, and HP's (HPQ NYSE) rationale for its purchase of the parent company, Arteis, as announced earlier this week (see "HP Acquiring Logoworks"). Ben Nelson, "general manager of H.P. 's destination Web services in San Francisco" and speaking on HP's behalf, compares the company to Snapfish (and Ben should know since that acquisition is how he joined HP), also goes on to expand on that quote in the subject line. "They've got the world's largest network of designers who are connected online. It affords high quality work for a low cost to customers. It was something that was irresistible to us." The article quotes numbers, too: 25 in-house designers, 200 free-lancers connected by the net, and 120 total employees. Elsewhere, Logoworks' web site claims 45,000 satisfied small business customers. Today's rising stock market, featuring the Dow Jones Industrial Average's first close over 13,000, saw two imaging and printing stocks heading in opposite directions. Eastman Kodak Company's (NYSE EK) shares surged 9% on numerous rumors, including the seemingly unlikely idea that they're an acquisition target of HP (NYSE HPQ). Lexmark's (NYSE LXK) shares were still headed downward today, after a dramatic drop on Tuesday. The company announced downward sales trends in both inkjet and laser hardware, along with flat supplies sales. Both companies' shares (and overall fortunes) will continue to be interesting to monitor. Very little additional news and analysis is coming out regarding HP's (NYSE HPQ) move to acquire Arteis, parent company of Logoworks. So kudos to the bloggers that have taken a look at the story and its meaning. One of the first good ones to come to my attention is from Donnna Bogatin at the ZDNet Micro-Markets blog with a post entitled "HP to Google, Intuit: It’s OUR small business cloud, too!". Interesting to be part of a "cloud" huh! Tom Taulli at BloggingStocks on AOL Money and Finance also comments on the acquisition in a post entitled "Logoworks reels in HP". That title is a little strange to me, as a $100 Billion revenue giant like HP would typically be the "reel-inner" in an acquistion of a relatively tiny company. Taulli also goes on with a couple of other statements that might misdirect the reader. Logoworks got its start in 2001 and, as its name implies, helps companies come up with cost-effective logos and other designs. The firm has a team of 40 designers who are on location (not outsourced to some far-away location around the globe). The company did not disclose its revenues but it has served over 45,000 customers, some of which include biggies like Disney Co. (NYSE: DIS) and Microsoft Corp. (NASDAQ: MSFT). First, Logoworks has designers on staff but their real magic is the blending of the in-house group's talents and capacities with a worldwide network of hundreds of wired-in free-lance designers. And, Disney and Microsoft are not the intended targets of this service! While the big names were a plus for Logowork's credibility as a stand-alone service, the acquisition is clearly a small business play for HP, as Taulli acknowledges near the end of his post. In news so fresh it's not even up on the HP (NYSE HPQ) news site yet, HP has announced it will acquire Logoworks, a web design firm that serves small businesses. This is one that hits particularly close to home -- while still employed at HP, and going along with an HP colleague who has since become a good friend, I led the very first "mission" into Lindon UT to visit the nascent company. That visit developed into a strategic alliance and now an acquisition. We'd originally read about them in Forbes (thanks SG), which we found out later was a press connection they made with the help of Guy Kawasaki! See HP Newsroom for the official release, now available. McGlynn says three companies have ordered the technology from his Eagle (Idaho) startup to use in home printers expected to retail under their brand names for about $300 in early 2008. Interesting that the March piece in The Economist speculated on a potential partner list that included three names -- Dell, Panasonic, and Samsung. One of America's greatest writers is gone. David Halberstam was killed today in a car accident in California. I thank David for some of the greatest writing I've ever had the pleasure to read. In my part-time role as faculty member for a graduate-level Marketing ciriculum, I recently urged my students to practice "marketing math". This is also goes by the phrase "back of the envelope" analysis, and it's the practice of taking available numbers and working with them to further understand a business situation, knowing what you're doing won't stand up to Sarbanes-Oxley level of scrutiny, but will provide some insight just the same. A case in point comes from the recent press announcement from HP (NYSE HPQ) about their recent Digital Press sales success. Timed just a day before Xerox's earnings announcement (which was noted as lacking hard unit numbers this time around), HP adds this one to a February release along the same lines. Their announcement reveals that a recent proprietary report from InfoTrends shows HP Indigo Presses taking a market share lead, in 2006, in the US High Volume segment of the digital press business, competing against products from Xerox, Kodak, and Xeikon. The numbers involved are 41.9% (HP Market Share), 49.5% (Market Segment growth rate), 9 percentage points (HP's market share increase), 8 percentage points (HP's market share lead), and then from another source, 40% year-to-year growth in number of impressions. So pushing around those numbers yields some further interesting results in my "Digital Press Math". First off it's fairly easy to get to a split in the growth between HP and its competitors, showing that HP unit sales grew an astounding 80% year over year, while the collective competition grew at a not-to-be-sneezed-at 34%. But then things get a little more problematic -- with a 40% growth in impressions year-over-year, and with numbers hovering in that neighborhood for some time now (see my February post, HP Sets Digital Press Records), why would unit growth exceed page growth by so much? One answer, of course, is the 80% growth in US-only. Another is that new presses don't start cranking out pages immediately, and will grow along with their owners' businesses, over time. One more explanation might be that the 80% growth is more a statistical artifact, which can happen when categories shift, meaning that a product improvement (typically in performance level) causes a new product or version to be slotted into a new category -- the old "easy compare" situation. I'm not enough of an expert these days on the details of the market to answer further, but it does prove the point, I think, that "marketing math" can be helpful in raising good questions. Xerox (NYSE XRX) announced earnings after the bell on Friday, and impressed watchers with favorable numbers, with the stock spiking to near its 52-week high of $18.74. Some found reasons to doubt, though. Matthew Troy at Citibank downgraded the stock from a "hold" to a "sell", and another analyst, Jeff Embersits of Shareholder Value Management, notes in comments to Marketwatch that the absence of hard unit numbers in the announcement is an indicator of possible deficiencies. No news is not good news, at least in this analyst's way of thinking. The creative folks at the Databazaar Blog have come up with a feature I wish I'd thought of! It's called "Review Roundup" and pulls together snippets of printer reviews, with links to the full reviews. Their initial entry includes an interesting photo printer fade-resistance summary, as well as the Kodak Easyshare 5300 and Dell Laser Printer 1720. BTW the word on Eastman Kodak Company's new inkjet photo printers, announced with such fanfare in February, seems to be rather disappointing. It's hard to understand why with all the fuss, and apparently patience, a company would miss the mark on their promised price/performance metrics, especially when low-price-per-high-quality-print is the whole premise of their positioning. Baseball fans might think that Spring Fever has the best of me and I'm posting about baseball pitcher David Wells, but instead I'm staying "on message" and pointing out Yahoo Tech's "Boomer"*, Robin Raskin, and her recent post, "Create Professional-Looking Business Cards". I had originally written "printing your own business cards" but actually that's a bit of a misnomer -- Robin identifies four acceptable ways to go, and only one of them involves using your own printer. She describes the pro's and con's of VistaPrint, Eastman Kodak Company's (NYSE EK) Creative Network, and GreatFX Business Cards, all "out-sourced" methods, and the do-it-yourself method using your desktop printer (inkjet or laser) and special business card stock from Avery. FedEx Kinko's was also mentioned as an option, but in less-than-stellar fashion. Robin concedes the big advantage of home printing -- "If you only print five at a time" -- but I'd amend that advice to printing ten at a time, since that's how the sheets are laid out. BTW if you haven't tried the Avery stock lately (now "cleaved", not "perfed") you owe yourself another look -- they're amazing. Raskin makes her preference known for the out-sourced model (except for Kinko's) and cites the roll-your-own technique as "a pain" and not a big money-saver either. Sounds like my recent commentary on home photo printing! At the Demo 2007 conference, Zink displayed prototypes of an iPod-sized portable printer and an integrated camera/printer. Jim Lyons covered this announcement in the March issue, and he recently interviewed Scott Wicker, vice president of marketing for Zink, to gain additional insight into the firm’s history and strategy moving forward. Zink’s “Zero Ink” photo-printing introduction was part of a memorable volley of activity during the first quarter of 2007. Squeezed intellectually, if not temporally, between the pop-culture-intensive Kodak event in early February (Observer, 2/07) and the mystery-shrouded Silverbrook/Memjet announcement in March (Observer, 3/07), Zink chose the road less traveled from a printer industry perspective and appealed to the general technology crowd at Demo 2007 in late January. Zink is marching on with its “Zero Ink” technology message and preparing to announce its initial partnerships in the second quarter of 2007. Agreeing with my assessment that the story is not about “speeds and feeds,” Wicker expresses pleasure with the company’s focus on photo printing only and its decision to go with a Demo launch. He states that the company’s marketing vision is to “enable printing where it has not been possible” with its technology’s compact form factor and lack of the requisite ink reservoirs (although Zink’s magic is partly due to its proprietary paper). During our discussion, Wicker cleared up the origins of Zink’s technology, which may be of particular interest to veteran readers of The Hard Copy Observer. Although Zink’s roots can be traced to Polaroid, including the firm’s investors, management, and technology, the firm’s printing technology is not based on Polaroid’s infamous Opal technology (Observer, 7/01). Polaroid’s Opal technology never shipped as part of a product, but for years it was widely shown and publicized. The firm’s last public display of the technology was in photo kiosk prototypes at the 2003 PMA show (Observer, 4/03). Zink is based on a technology that is an Opal alternative and that Zink acquired when it purchased more than 100 patents from Polaroid in 2005 after the onetime camera giant filed for bankruptcy. According to Wicker, in Polaroid’s final days, when most everyone in the printing division was working on Opal and the related Onyx technologies, just a few engineers were developing what has become Zink in a “skunk works” operation. So, while there may be numerous connections between the Zink company and Polaroid, Wicker reiterates that Zink technology is not Opal. One trend on which the printing and imaging industry has been focused for the last decade or so is the convergence between printers and copiers, especially in corporate environments. As vendors of office laser printers have made their products faster and more reliable and added more paper-input and output capabilities, the opportunity to compete with traditional copier vendors’ products became more feasible. As is the case with many trends in the printing and imaging industry, we have learned that there is a product side and a services side to keep in mind when discussing printer and copier convergence. In the past, copiers were part of the corporate facilities function, and a facilities manager typically acquired a copier as part of detailed transaction including copier leasing, services, and support. Meanwhile, laser printers fell under the domain of information technology (IT) departments, whose purchase of a printer was a much simpler transaction in which the hardware was purchased outright and service and support were provided through a combination of in-house and vendor-supplied resources on an ad hoc basis. So where are we today? 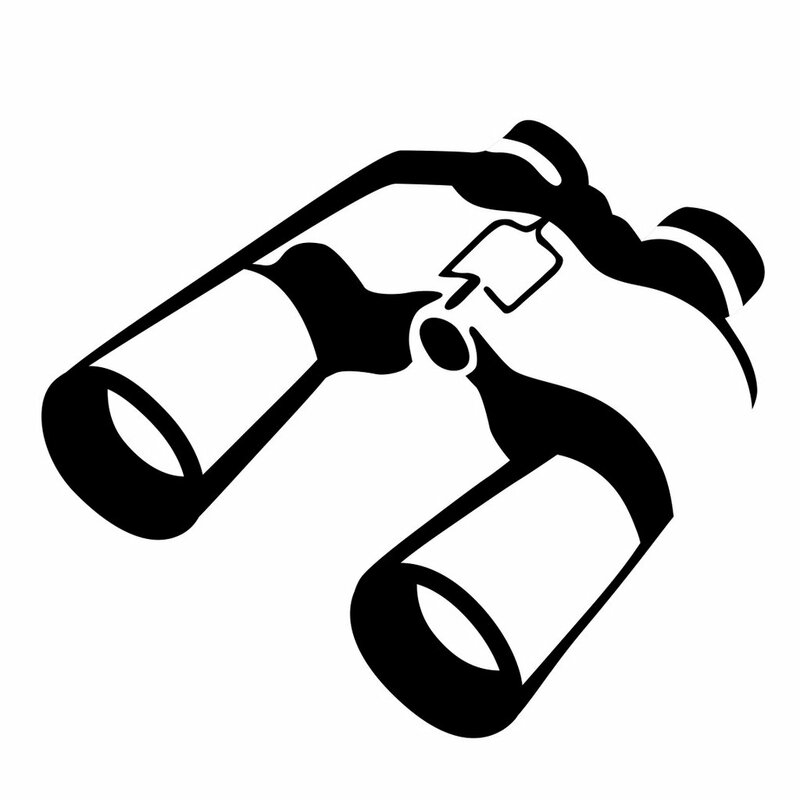 I have been using my “Observations” column these last few months to cover some examples of vendors seeking to identify real customer needs and then doing their best to deliver on a solution to meet those needs. Printer and copier convergence is not what can be truthfully called a customer-driven trend, but a look at how things have gone reveals that this trend fulfills a basic marketing principle—success through finding a customer need and filling it. In the mid- and late-1990s, vendors were long on talk but short on action when it came to printer-based MFPs. HP (NYSE HPQ), the leader in the laser printer market, pounced onto the product side of things first with its introduction of the infamous “mopier” in 1996. Now, over a decade later, HP finally has a winner with the LaserJet 4345mfp and its variants. Described as “an overnight sensation 10 years in the making” by Steve Reynolds, a senior analyst for Lyra Research, the LaserJet 4545mfp represents the culmination of HP’s efforts, as it vacillated between open and closed distribution with a variety of products from multiple engine suppliers. The Hard Copy Observer’s first mention of managed print services was in July 1999, when HP announced the creation of its Digital Hardcopy Services (DHS) group as part of the LaserJet business. Kriss Kirchhoff, general manager of DHS, delineated four elements of DHS, including ERP output-management services, host print services, distributed print services, and managed print services. The first three, in retrospect, were really just variations on a theme, which left managed print services as the big prize, where corporate printing is outsourced to an outside vendor (i.e., HP or an HP reseller). With the mopier of 1996 evolving to today’s LaserJet 4345mfp, and HP entering the managed print services business three years later, where are we today? I recently chatted with Ed Crowley, president of the Photizo Group, an organization that works the corporate managed print services front a great deal. According to Crowley, the interaction between products and services in 2007 is not happening exactly as predicted. He says that full outsourcing contracts are “few and far between.” Crowley sees individual behavior in corporate settings as a big inhibitor. Among managers responsible for making outsourcing decisions, the perception is that a full outsourcing movement will not stop with printers and copiers, so there is a natural reluctance to take this step when the next logical step may be outsourcing those managers’ functions. On the other hand, Crowley sees the HP LaserJet 4345mfp and its successors “booting out copiers” and acting in a “device consolidator” role in corporate environments, reducing the number of old-school copiers, providing cost savings, and freeing IT departments from the hassle of providing support for individual printers on desktops. He suggests that, in the end, corporations may have 50 to 60 percent fewer output devices. Remember meeting user needs? In this case, the need of the customer is being met, as long as we view the customer as the IT department and the corporate entity such departments represent. If we view the end user as the customer, whether customer needs are being met is a more thorny issue, as end users may not approve of the removal of their convenient desktop printers. HP announced an interesting acquisition on March 22 that touches on another subject that has been a favorite of mine in past columns: printing from the Internet. The firm announced it has acquired Tabblo, a small, Massachusetts-based company that has engineering and technology assets that help make printing from the Web easier for end users. The news is covered elsewhere (also, see the April 2007 edition of The Hard Copy Observer), but I wanted to look at this acquisition from the perspective of finding customer needs and then meeting them. In HP's (NYSE HPQ) Friday webcast to the financial community regarding their new Edgeline inkjet print technology, it didn't take long for the competitive situation to come up, once the Q&A started. (The session was hosted by Vyomesh (VJ) Joshi, Executive Vice President and head of the Imaging and Pring Group and Bruce Dahlgren, Senior Vice President, Global Enterprise Business.) Analyst Richard Farmer of Merrill Lynch was queued up to ask the second question of the session, and with it he solicited VJ's view of Silverbrook and Memjet and how he compared this recently discussed technology to Edgeline. I think there's a lot of talk there but they need to introduce a product first. That's how I always think about it. We take all of our competitors very seriously, but they have shown a prototype and we could always show a prototype in our lab three or four years ago. So in my mind, there is a lot of work from showing a prototype to commercialize a technology and actually introduce and get the feedback from the customers. So there is a lot of work to do. But, clearly, what they are telling you, and telling all of us, inkjet is a great technology, and I think that's the clear, clear confirmation that we are getting in terms of where we want to go for high-throughput color. Edgeline is a lot of hard work and $1.4 billion we've spent on scalable printing technology. This is really the implementation that as I talked about, going from home to small and medium business to retail photo kiosks to large format business now, entering into the enterprise market. I think that you need that kind of a scale, and you get kind of a volume to really have reliability and quality and performance that Hewlett-Packard is showing. So they have a lot of work to do to get that kind of a volume, get that kind of a manufacturing processes and cost structure to be really effective. So, bottom line, you feel like Memjet's very unlikely to be a material threat to your Edgeline business and your other core printing business in inkjet and laser in the next couple of years? We take everybody seriously, so it's their job to figure out how to make a contribution. We focus on our customer. Later in the Q&A, Richard Gardner of Citibank sought to compare the Xerox (NYSE XRX) WorkCentre 7600 series and Canon ImageRUNNER 5180 to Edgline CM8060 and CM8050 Color MFP models, and Joshi, not shying away from comparisons, suggested he also include the Ricoh AFC 3260! Good reading at Edgeline Webcast web page, where you can click through to the PDF of the transcript. Just noting a few interesting blog items re HP's (NYSE HPQ) new Edgeline Printing technology and the CM8060 and CM8050 Color MFPs announced this week. At the Channel Register blog a post by Eric Doyle, entitled "HP claims latest printer a record-breaker", contains an interesting summary of the announcement, but I highly recommend checking out the comments. Some interesting history! And Vince Ferraro's LaserJet blog now has company in the official HP blog roll. There's a new Enterprise Printing blog that's just getting started. National Association of Broadcasters (NAB) in Vegas? -- have to make it next year. Print-on-Demand in Boston? -- my printer industry buddies will have to fill me in. In what looks like the busiest conference week in the history of high tech, I'm sticking around my hometown of Boise ID for the third annual Kickstart event, April 18th and 19th! Rich Sloan of Startupnation.com, Ben McConnell of Church of the Customer, and Idaho's own Caleb Chung, inventor of Furby & Pleo, all convening in Boise, along with everybody who's anybody in the entrepreneurial community, all in my home town. Who could miss this??? Hope to see you there! Hewlett-Packard, which is known for charging a premium for its corporate printers, introduced on Wednesday a couple of high-volume enterprise products with new technology that the company claims reduces the cost of color printing by as much as 30%. Ian Hamilton, analyst for Current Analysis, said he couldn't say whether HP's claims were real. "We're still doing our research," he said. "Typically, HP has not been in the forefront in offering the lowest cost of ownership over the life of their products..."
"If they're able to do that successfully [reduce overall printing cost], then they'll kick out one of the value propositions of their competitors..."
Mike Pervere, HP's Edgeline Product Marketing manager, is also quoted, but his remarks keep to the factual and upbeat! Generally, in news following the announcement of the HP CM8060 and CM8050 Color MFPs with HP Edgeline Technology, coverage has been rather light, actually -- the Google News Index* comes up with a paltry reading of 4 hits (though a more respectable 41 articles are lumped under the first item.) Maybe after tomorrow's webcast we'll see a surge? For another view, from a source that knows the business from the customer level, read Corey Smith of Fisher's Document Systems. BTW I'm adding Corey's blog, From The Innovator's Desk, to my blogroll to the right, for future reference. Today HP (NYSE HPQ) rolled out a combination of hardware and software focused at printing in the enterprise. As the industry leader covering a massive swath of imaging and printing territory, HP has taken to bundling related introductions into a single communications package, rather than dribbling out individual announcements one at a time. The star of this show, though, is clearly Edgeline, the inkjet page-wide array technology. (Edgeline was originally previewed by HP last year and featured prominently, including in my blog, during January's Lyra Symposium...see "HP's Shadow"). PC Magazine's veteran printer writer M. David Stone covers the Edgeline printers in "HP Pushes Ink Jet Printing to 70 Pages per Minute" where he brings in comparisons to the March Silverbrook Memjet demonstrations and also recent Xerox (NYSE XRX) solid ink demos that have shown remarkable print speed. Stone recalls a similar Xerox demo roughly ten years ago, which speaks to the time it may take to refine technology from eye-popping demo to product ready to ship. I've been keeping a log of most of the Memjet Silverbrook press that's come to my attention, but as it's rolled off the front page of my blog I'll provide a "refresh". The Australian PC World is the latest (April 10, or 10/4 down under) to offer a summary by Danny Allen. Interesting that when I call up the article it features an animated HP ad as part of the layout -- coincidence I ask? Update -- Danny's "The Print Shop" piece is available on the US PC World site now, dated 4/9/2007. Update 4/23/2007 -- I'll do another full MemJet press post tomorrow, but for now, don't want to overlook this good summary from the photo world. "Reluctantly, I am doing blogs"
The New York Times has a piece today by Damon Darlin entitled "HP Tries to Create Printers That Love the Web" that concludes with the subject quote, as attributed to HP (NYSE HPQ) Printer chief Vyomesh ("VJ") Joshi, as he describes his hands-on leadership role in shifting HP's printing strategy. The nicely researched and well-written article covers VJ's drive to adapt HP's Printing and Imaging strategy to the fast-changing world of information dissemination that includes a wide variety of much-discussed Web 2.0 technologies, and more often than not does not include printing. Thus HP's interest as manifested in a wide variety of moves, some announced, such as the Tabblo acquistion I covered two weeks ago, as well as a variety of upcoming moves being hinted at. Darlin also quotes Pradeep Jotwani, HP's senior VP of the printer supplies vision, who I've also interviewed for my April 2007 Observations which will be online in a day or two. So check back for further perspective! USA Today Personal Tech editor Ed Baig has a piece Thursday entitled "What gets technology users really peeved? ", and along with fellow writer Jefferson Graham and the help of their readers, describes technology pet peeves of end users. Printers got off pretty lightly – "no cables in the box" was the only specific area where printers were mentioned. (And while hardly a defense, the exclusion of cables is a long-standing printer industry tradition – LaserJet came cable-less for most of its history beginning in 1984!) In the broader imaging area, cameras’ "shutter lag" delay between push and snap came up and the overall Vista compatibility issues were also included, as we’ve touched on at least in observing printer vendors’ responses to them. Other general complaints? Digital Rights Management (DRM)-related and browser compatibility issues, and (of course) battery life, or more correctly, lack thereof! SharedBook, the "Reverse Publishing" company I blogged about at Demo 2007, has announced their Open API this morning. Borrowing a page (oops, sorry for that one) from the famous HP "Paper Pie" and its trillions and trillions of available pages yet to be digitized, ShareBook's lead for their story refers to "14 billion pages of online content". I love it! Since posting about Wikipedia last week, Adam Dewitz, fellow print industry history buff, has been in touch. He's working on a project called "PrintWiki - The Free Encyclopedia of Print" from his position at Rochester Institute of Technology (RIT). Background can be found in this entry from his blog from last November, and the site itself is http://printwiki.org/. Congratulations Nor Rae on your well-deserved promotion! Going the route of growth through acquisition, Xerox (XRX) is buying Global Imaging Systems (GISX), a huge distributor of "copiers, fax machines and printers" and related services to small business customers in North America. As I posted here in February, Xerox's latest new color printers have been targeted for Small and Medium Business (SMB), and this channel acquisition effectively "buys distribution" for Xerox into this customer base at the expense of GIS's current major suppliers, Richoh, Konica Minolta, and Sharp. Sunday morning's ad blitz brings a big push on HP's "cheaper than laser" all-in-ones, the OfficeJet Pro 7x80 series, at all three of the big office stores (Office Depot, OfficeMax, Staples). In addition the Staples exclusive HP OJ Pro K5400dn color inkjet printer is now on sale at $179.98, $20 off its month-ago introductory price. Google Gmail Paper -- This is HUGE!!! Thanks for the quick work of my colleague Oliver Fritsch at Cendesic for his bright-and-early first-day-of-the-month Sunday morning tip-off to this HUGE Google (NASDAQ GOOG) program. Google Paper will be upsetting the printer supplies balance of power from day one, beginning today April 1, 2007.